← Beco Flyer Soars to the Top of Lager’s List! Brian and I have always searched for dog friendly wineries to try. 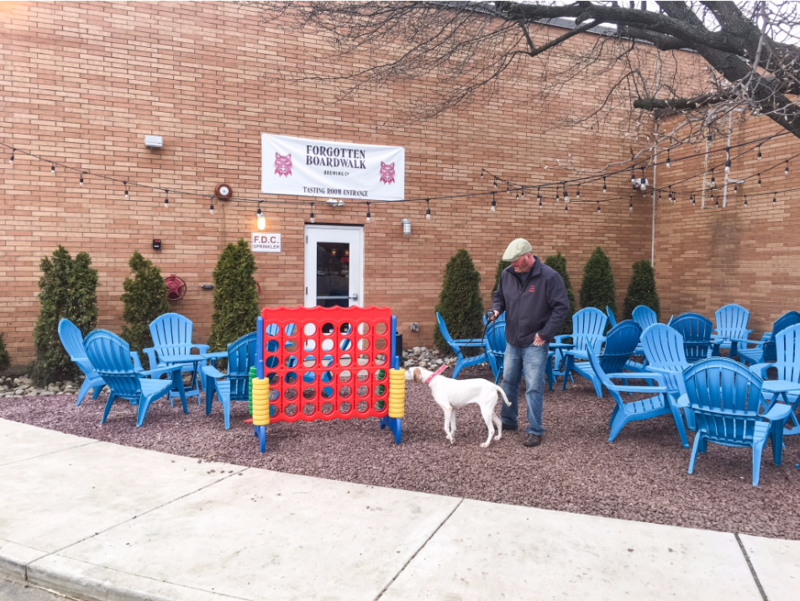 Just recently we began trying the dog friendly breweries in South Jersey, not realizing just how many there were! 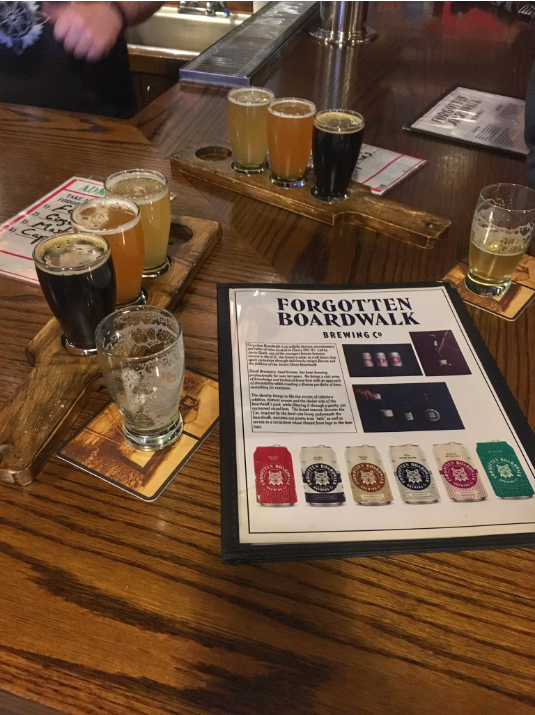 Forgotten Boardwalk Brewing Co. has definitely been added to our “favorites” list! To start – check out the cool over-sized Connect-Four game at the brewery entrance! The beer here was delicious, and the people were friendly and knowledgeable. 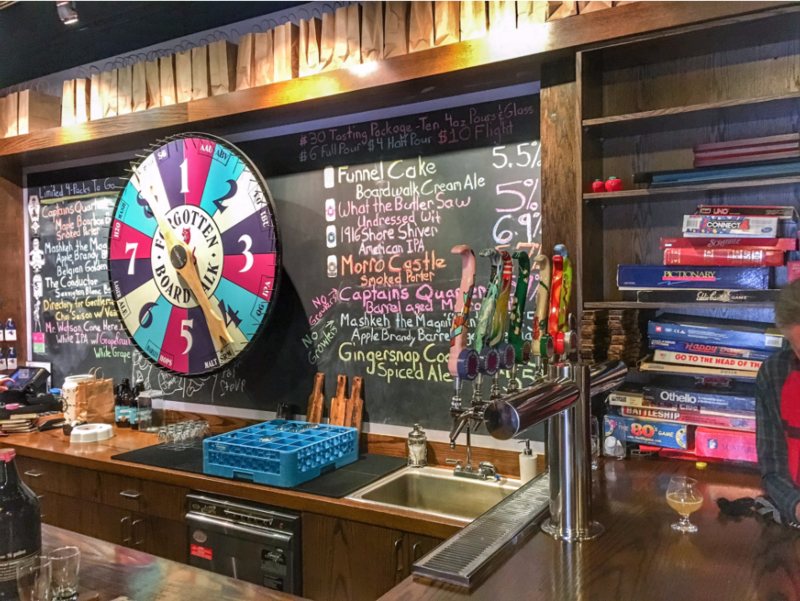 Best of all, the brewery has two skeeball machines, a spin wheel and fun house mirrors – and they donate a portion of the proceeds from skeeball to a different charity each month! 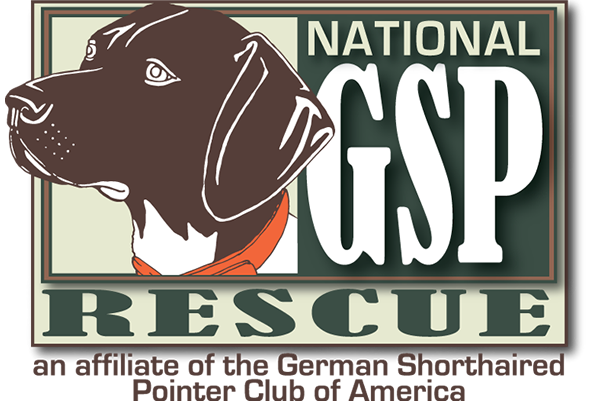 When we visited, the charity-of-the-month was the Animal Welfare Association in Voorhees, NJ! 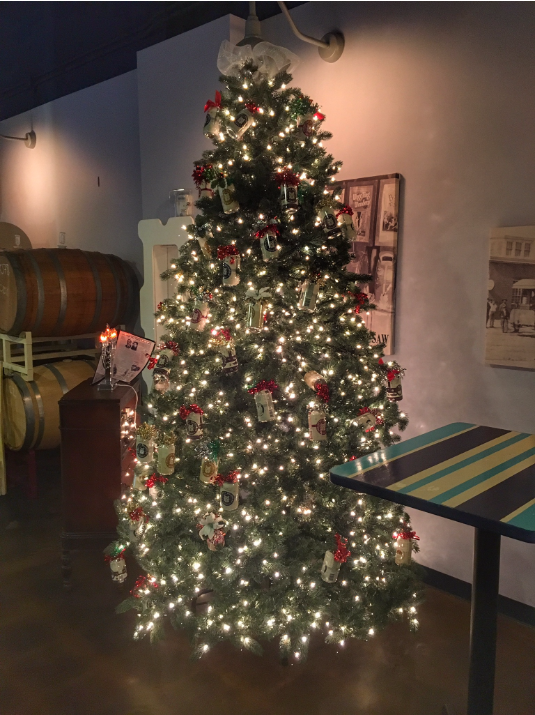 The brewery was very festive for the Holidays, and even had a beer can Christmas tree. I highly recommend their Funnel Cake beer! I love that they have a bunch of board games available for people to play while enjoying a few of their beer selections! We can’t wait to visit Forgotten Boardwalk again! This entry was posted in NJ Breweries, Rita Was There! 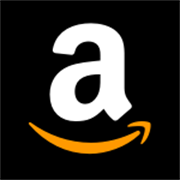 and tagged beer, brewery, craft beer, dog friendly, dog friendly breweries in new jersey, dog friendly breweries in NJ, forgotten boardwalk, forgotten boardwalk brewing co. Bookmark the permalink.